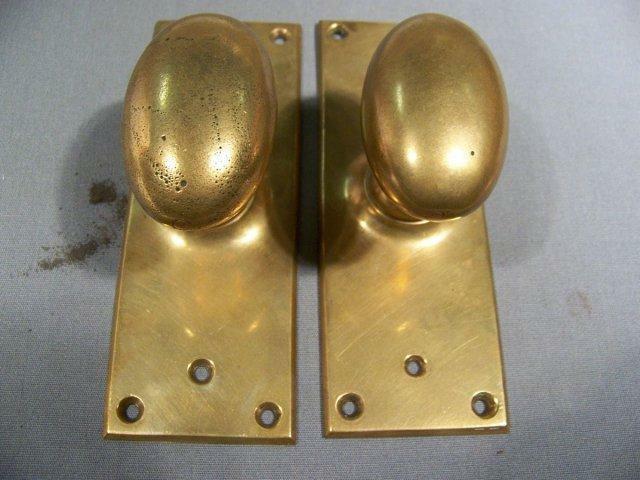 Price Is For This Pair Of Old, Solid ROSE Brass Tone, Doorknobs, With Attached Backplates. Uses An Appx. 1/4" Doorshaft That We Might Could Sell You, If You Desire One. Knobs Turn On Plates. Slightly Under 1 1/2" Wide X 2 9/16" Tall Knob; Appx. 2 1/8" Wide X 5 15/16" Tall Backplates. Plates Mount By 6 Screws Into Front Of Each Plate. 1 Pair Of Knobs Is Available. 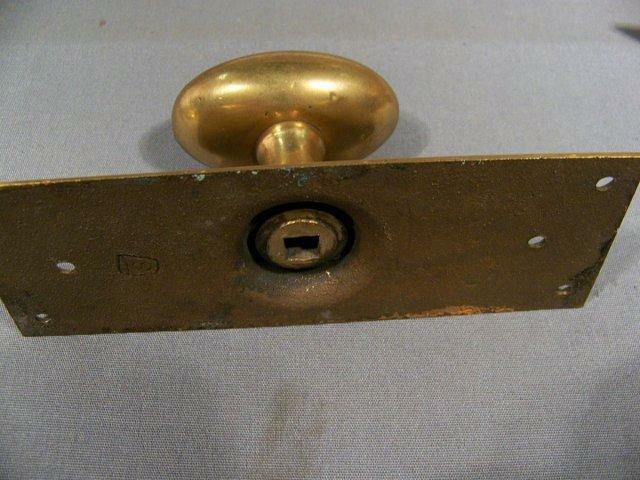 Knobs Have Minimal Old Wear; [one has a thin scratch]. Purchaser Pays Shipping.